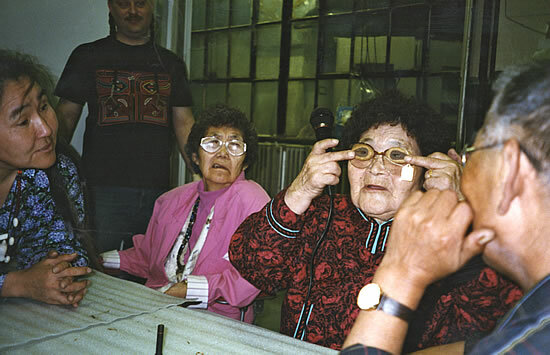 Annie Blue models the grass goggles at the National Museum of the American Indian, 1997. Grass sewing kit from the Lower Kuskokwim River. 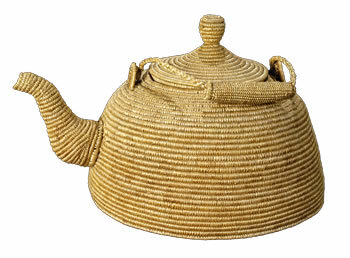 Grass tea kettle from Nushagak, made as a trade item. Martina John remembers selling coiled baskets for twenty five cents or a yard of cloth. 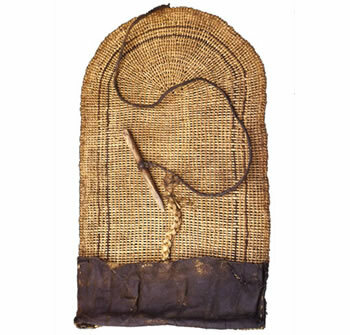 Now these same baskets sell for hundreds, even thousands, of dollars. John Phillip recalled: "In our village they hung tomcod to dry by braiding grass and threading the strands around the fishes' necks. Once they were dried we would remove all the fish heads, leaving the braided grass. After freeze up in fall, when we boys wanted to drive dogs, we connected the braids and made them into harnesses." 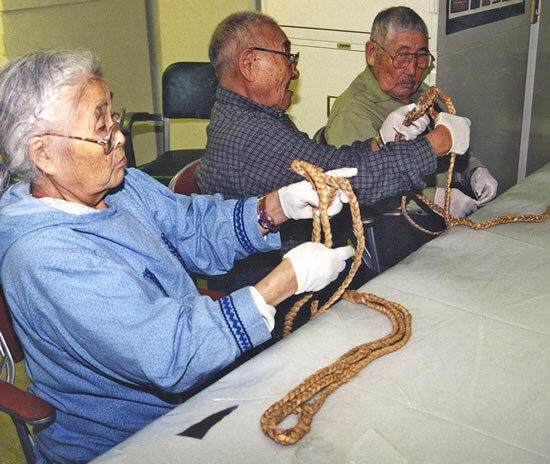 Theresa Moses, Peter John, and Frank Andrew examine a grass dog harness, spread out, during a visit to the Smithsonian Museum Support Center, 2003. 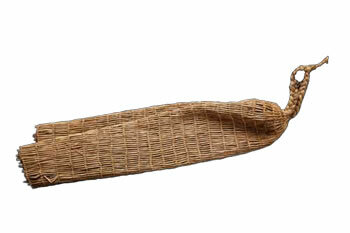 Grass fish trap made by Neva Rivers out of coarse seashore grass in 1977, to set in nearby streams and catch needlefish. 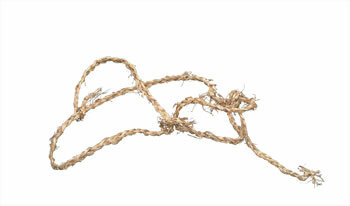 Neva Rivers recalled: "Those who lived long ago used grass, and they didn't even mind using it. They weren't proud and they even lived longer." 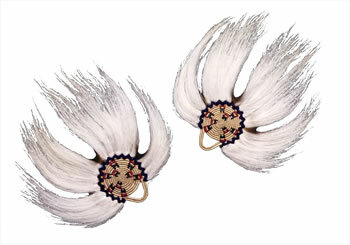 Dance fans made of coiled grass and caribou throat hair by Catherine Moore of Emmonak, 1997. 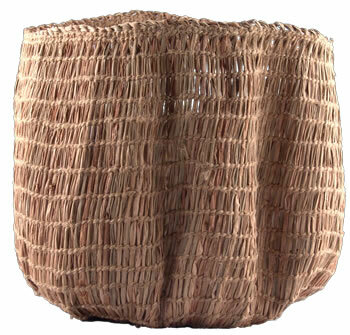 Grass storage basket made by Sophie Nick of Nunapitchuk in 1970. Theresa Moses remembered: "We would get ready at freeze up with twined grass, and I would help make bags like these. The completed ones would have two braided sections at the base. They said we were making it 'legs' to help carry the bag when filled."